Some of legendary writer Ben Hecht’s best work comes to the screen in a two-in-one show business-themed comedy-drama that reveals what goes on when the greasepaint comes off. 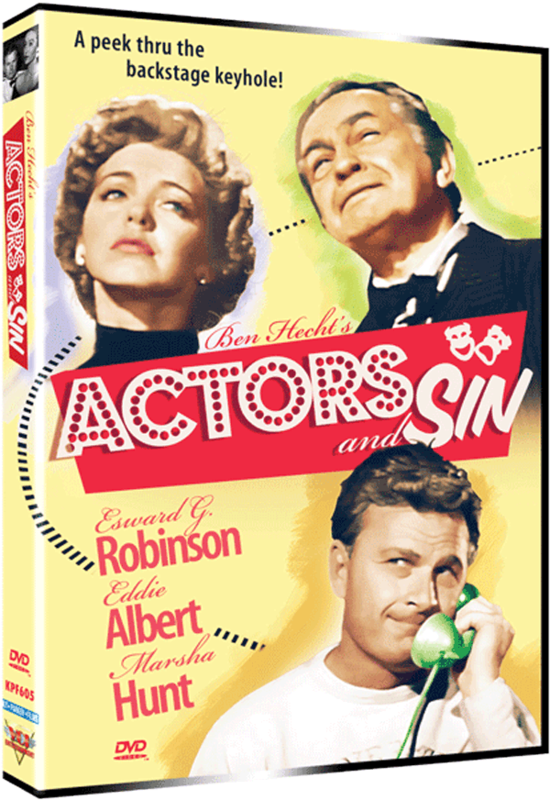 In “Actors Blood,” washed-up stage star Edward G. Robinson assembles all the suspects in the murder of his actress-daughter (Marsha Hunt); and in “Woman of Sin,” a Hollywood agent discovers to his chagrin that a highly sought-after script was written by a nine-year-old girl. 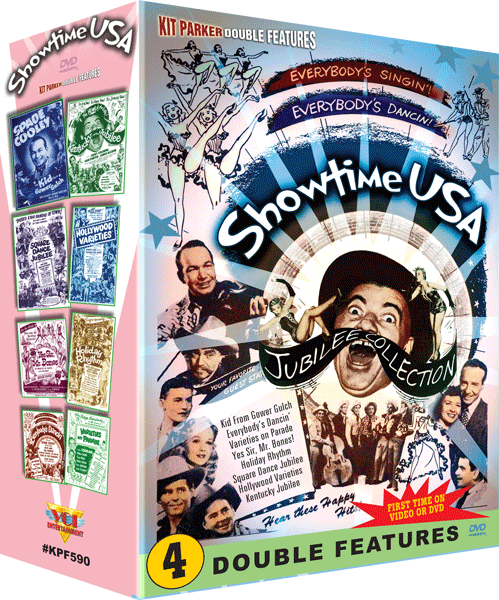 Attention, fans of vaudeville, minstrel shows and vintage musicals: Perk up your ears and put on your dancin’ shoes as lost chapters from the big book of Live Entertainment history are re-opened in this one-of-a-kind classic compilation of feature films from the late 1940s to the and early ’50s. 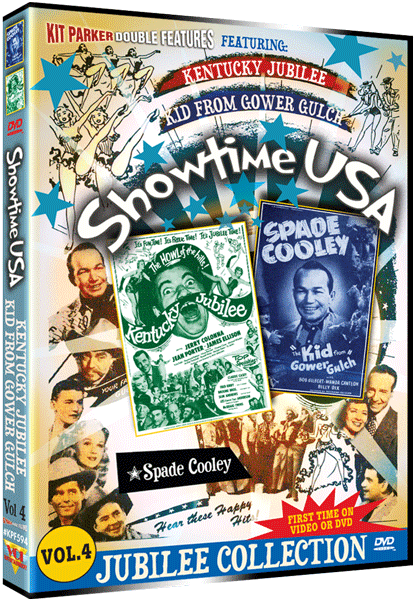 Many of the most memorable vaudeville headliners preceding and including that era strut their stuff in these extravaganzas–the singers, dancers and acrobatic acts that got that generation’s toes tappin’ and funny bones ticklin’. Some performers are seen here in their ONLY on-camera appearances. For the true buffs, there is also rare home-movie footage of live vaudeville acts and a trio of expert historian commentators offering a high-energy crash course in the medium’s history. 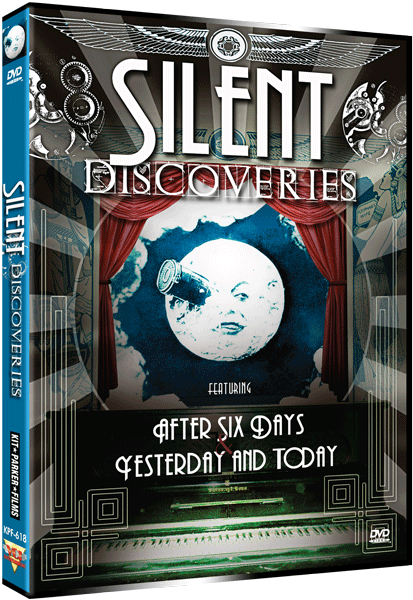 Find yourself a front-row seat as the curtain once again rises on the fun-time of a lifetime! Chuy Reyes and His Rumba Band, Claude Casey, Cotton and Chick Watts, Cowboy Copas, Eddie Dean, George Arnold and the “Rhythm on Ice” Revue, Jerry Colonna, Les “Carrot Top” Anderson, Monette Moore, Nappy Lamare Dixieland Band, Pete Daily and His Chicagoans, Scatman Crothers, Shaw and Lee, Slim Andrews, The Sons of the Pioneers, Spade Cooley and His Band, Tex Ritter and the Cass County Boys, Broome Brothers, Chuy Reyes Mambo Band, Hoosier Hot Shots, Ike Carpenter Orchestra…and DOZENS MORE! 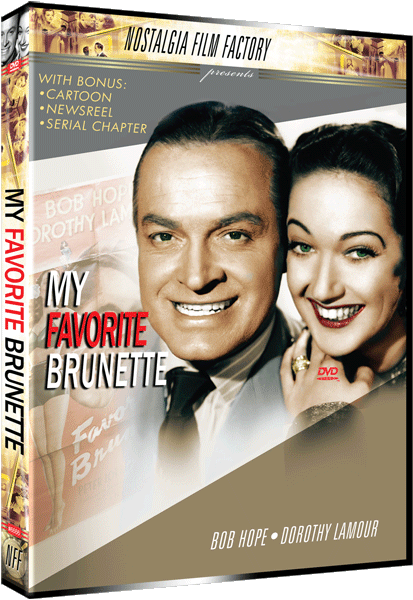 Hope plays a baby photographer, mistaken for a private detective, which leads him to get involved with a beautiful and mysterious woman (Dorothy Lamour) trying to locate her missing uncle. Shortly after starting the case, both are kidnapped by a sinister gang of foreign agents and framed for murder. A comic turn on classic film noir and those hard-boiled Mickey Spillane thrillers.